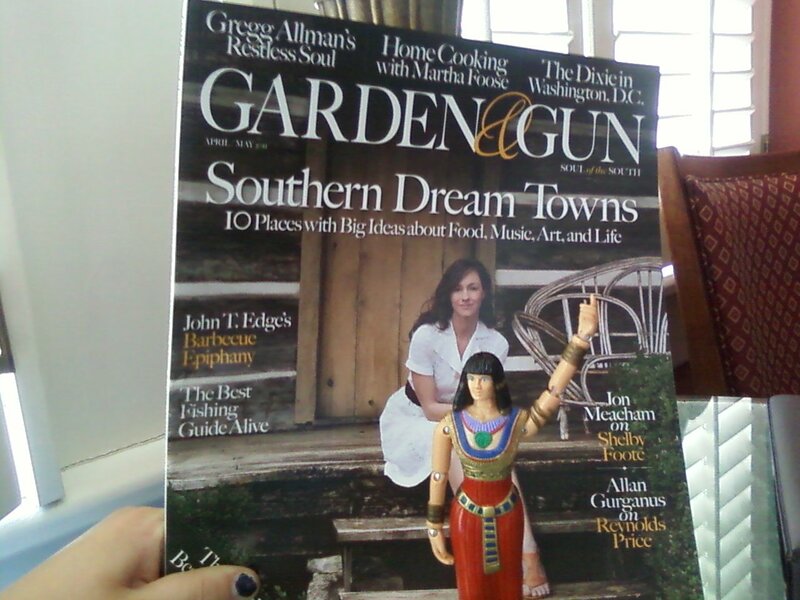 While traveling in Americus, Georgia, Queen Cleopatra VII took a liking to a magazine called, Garden & Gun. 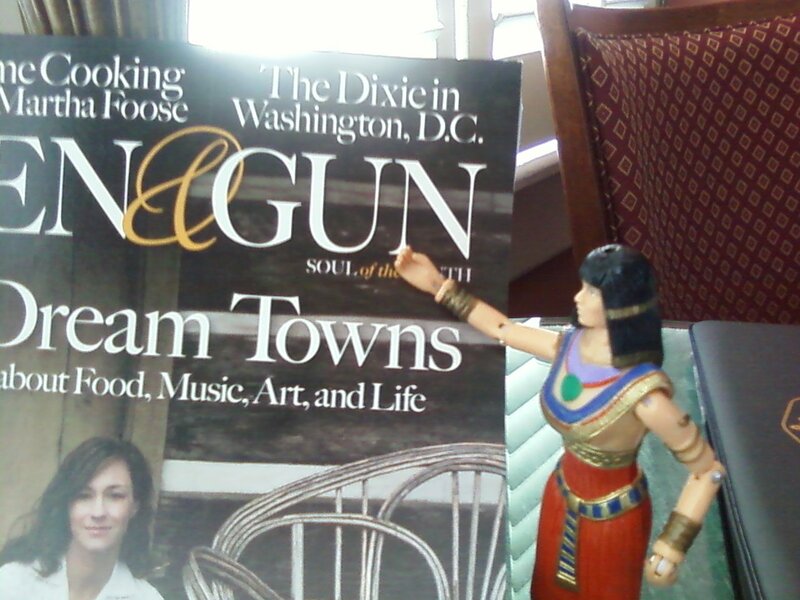 The last queen of Egypt explains the wisdom of combining gardens with guns. "I am quite impressed," she explained, "by this unique and delicious combination of the feminine and masculine, of the sweet and the violent. "The Garden part lures the reader in with the promise of beauty and perfume from southern blooms and then--POW!--one's mind is blown by the shocking and unexpected violence of the Gun part. "Brilliant, really!" continued the queen. "For, as you well know, this was the secret to my success--the sudden shift from a seemingly non-threatening position (possibly even appearing defeated) to the violence of an unexpected attack." The great queen, of course, is referring to the time she outwitted her younger brother's henchmen by sneaking into her royal palace all snug in a rug (or bedroll) so that she could negotiate privately with the man of the hour, Julius Caesar. This move ultimately resulted in the Alexandrian War and the complete and utter defeat of her enemies. 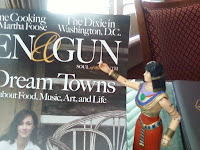 The queen points to her favorite part of the magazine. 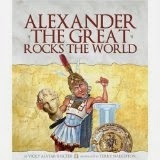 She also pulled the "Garden and Gun" trick upon her greatest enemy, Octavian. 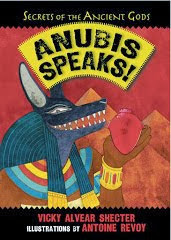 She told him she wanted to pray by Marc Antony's tomb (the flower part--playing the loving, devoted consort) and then whipping out an Egyptian cobra (the gun) to die on her own terms. "I was the quintessential Southern Lady before you all even knew there was a south," explained the queen. "Indeed, it is a little known fact that the term 'Steel Magnolias' originated with me though, in my time, I was referred to as the 'Bronze Lotus.'" As the queen left the platform, she was heard to mumble, "Steel magnolias, my asp. 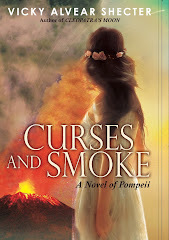 I'd wilt all them blue-haired ladies into a pile of pollen with just one look." Um, I mean, really. You might want to go before those Southern belles catch up to you with a hoe in one hand and shotgun in the other. OMG!!! LOL! You have topped yourself. 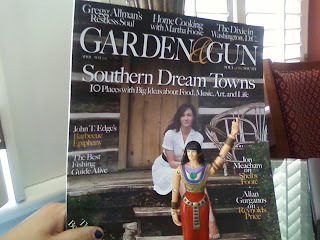 1) Where the heck did you find this magazine! Gads. @Cathy, You should TOTALLY write for this magazine! Who knows, they might even enjoy a send up of their approach! @E--thanks! I totally laughed out loud when I saw the magazine. We saw it Americus, GA, of all places! This is so funny. I saw this at Publix and was like WTH? LOL. 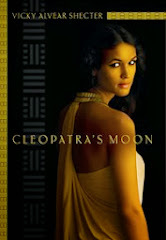 You must give it to Queen Cleopatra, she was very logical and got the upper hand with her shrewd thinking (well maybe not in the end with the snake, but I digress). I could easily see her with a gun along with her flowers and jewels. Fabulous travelogue Cleo, but here's what I'm wondering... will you be outfitting your servant-carrying divan-chair with a shotgun rack on the back????? @Karen, I know! I actually laughed out loud when I first saw the magazine title. It was good fodder for Cleo at least.